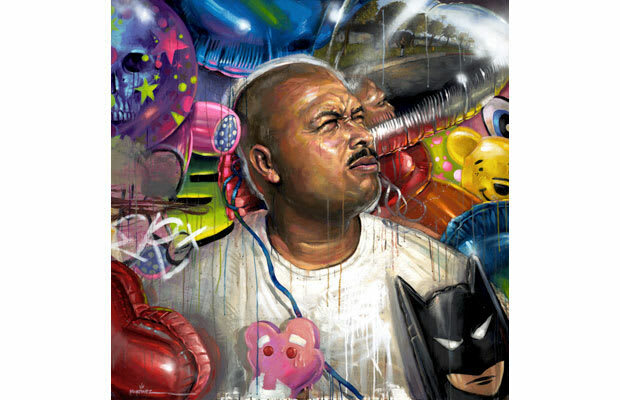 "Advance to the Next Level of the Game"
Mixed Media on Panel, 2010. "A portrait of my brother. This piece is about his hopes, wishes for the future and getting a job just after being released from Folsom State Prison in California, following four years of incarceration."